You must make reservations at least 5 minutes in advance of the time at Bertucci's - Huntingdon Valley. Book your reservation today! For parties of 20 or more, our dedicated event planners can help you choose from a variety of banquet menus and bar packages for your special event. Hosting an event at the office or home? Our catering menu and packages are sure to please! 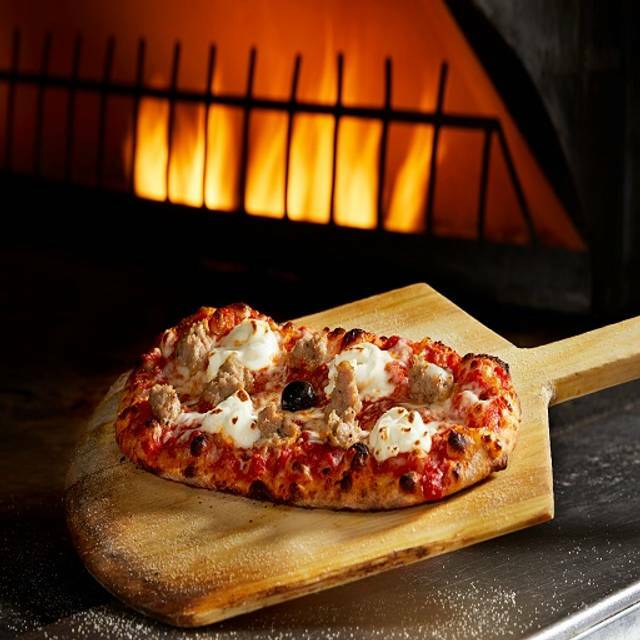 Craving unique brick oven Italian food at its freshest in Huntingdon Valley, PA? 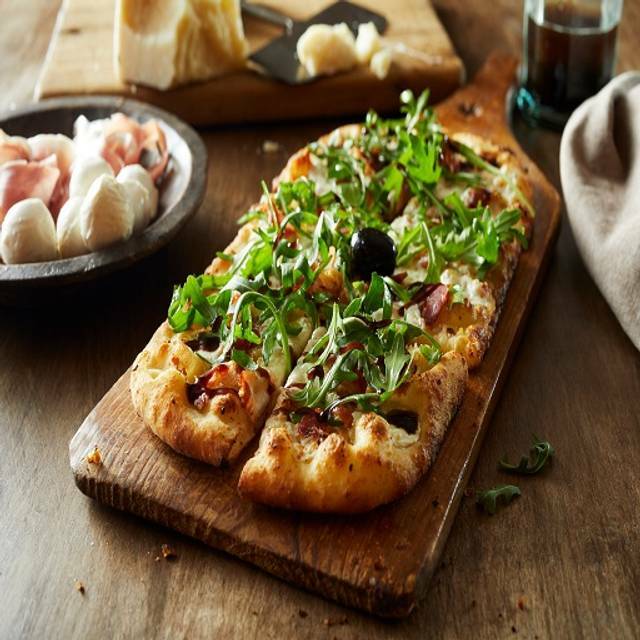 Reserve your table at Bertucci’s today to experience delicious food made by hand daily and fire-cooked until intense flavor is locked in. Our scratch-made dough, tomatoes grown exclusively for Bertucci’s and roasted small-batch vegetables are fresh all day, every day. 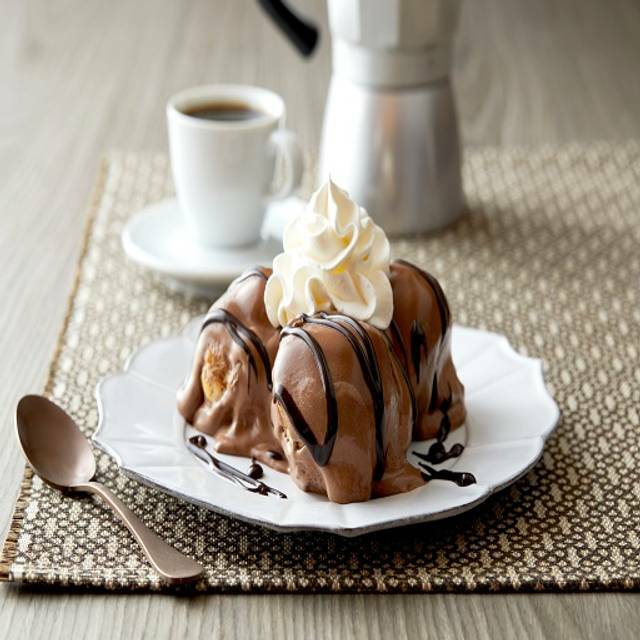 Whether it’s our signature pizza, mouthwatering pasta creations or even a sweet dessert, we create magic within our brick oven that’s the heart of each Bertucci’s location. 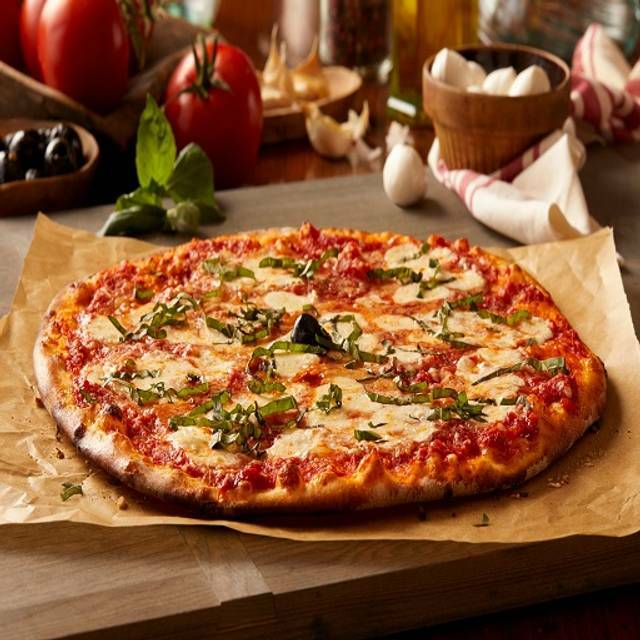 Located at The Marketplace and minutes from Regal Cinemas Warrington Crossing 22 & IMAX, Bertucci’s features not only our signature pizza and calzones, but also delectable vegetarian and gluten-free options. 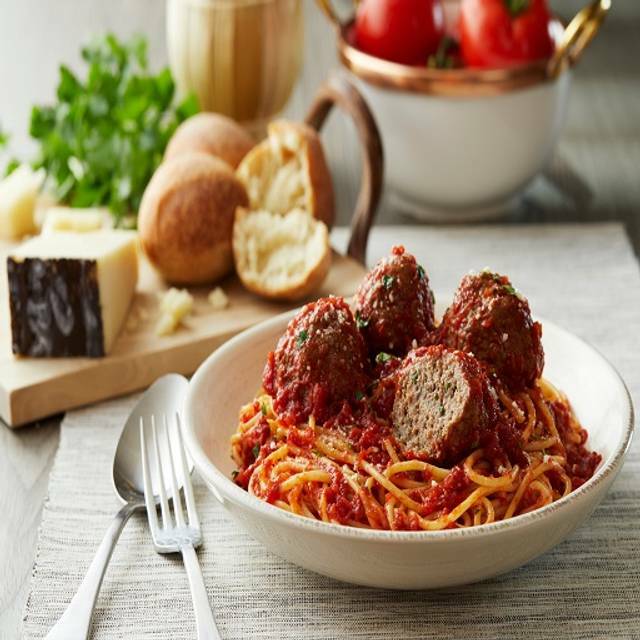 If you’re looking for a relaxing meal, everyday dining or a private room with a fireplace for a special group celebration, Bertucci’s has a table ready for you. Can’t join us at our table? Call ahead or order online for 2Go or delivery. Catering also available. Prosecco (Italian bubbly) captures "la dolce vita" — the good life. The best way to start an occasion with friends and family. Salute! See our Dessert table card menu for individual and shareable sweets! Monday Thru Friday 15 Minutes or It's Free (Express Lunch: Available only on items from Lunch Menu, for parties of up to six. Affirm participation to get Free lunch if not to the table 15 minutes from time of order). 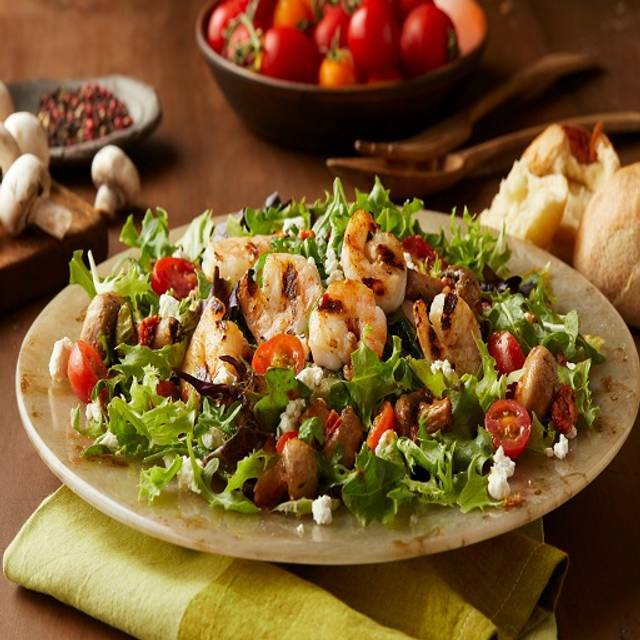 Every Lunch Comes with Unlimited Insalata & Fresh-baked Rolls. Daily Til 3 P.M. I wasn't overly impressed with my visit. The server was good, she did get everyone's meal correct. However, she brought me a watered down Raspberry iced tea (which she did correct after I politely pointed it out) and she didn't offer any explanation for why they didn't have any lemonade except that she couldn't bring my mother another one because they didn't have enough for a refill. I wasn't overly impressed with Noemmi, she does her job well, but I got the sense that she didn't really give it her all that particular day. Waitress was fantastic! Great service, we are repeat customers! Once again, we enjoyed an 'early bird'...our main meal in the earlier afternoon. Our salads were nice and crisp/fresh, and the dressing -very tasty. We enjoyed our favorite pastas, both with red sauce, one with meat sauce and one with sausage. The bread is still, as always, the best of breads/rolls...anywhere ! Good atmosphere and good service. Thanks, Bertucci's !! The food was just okay, no reason to go back. The drink prices are a bit pricey for a strip mall restaurant. 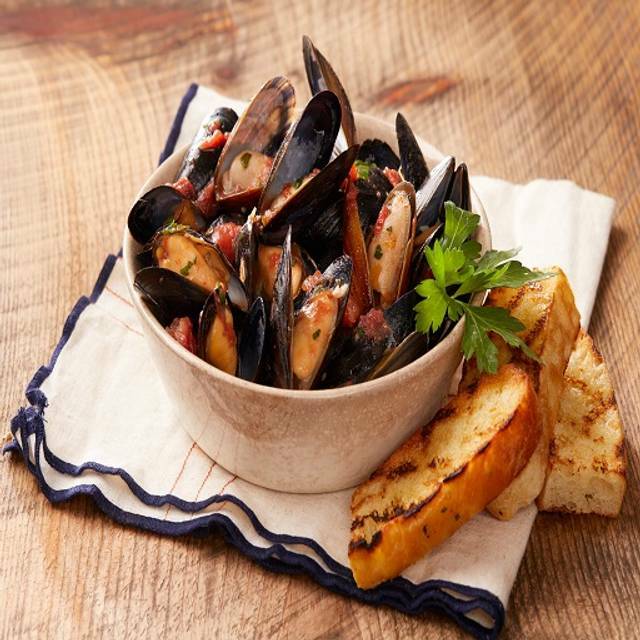 Usually just get the Bertucci pizza but our guests tried the mussels and fried mozzarella. No complaints about the food and the young lady who served use was great. Great day out! Everything was great. The waitress was friendly and knowledgeable. The food was good. The restaurant was clean. What more could anyone want from a chain restaurant?? Our server was wonderful and very attentive. We really liked being able to make our reservations online which the restaurant honored [some don't]. As usual the food was good but that night it was better than usual. Server was very attentive and checked back often. Kept drinks and water filled. Excellent service. 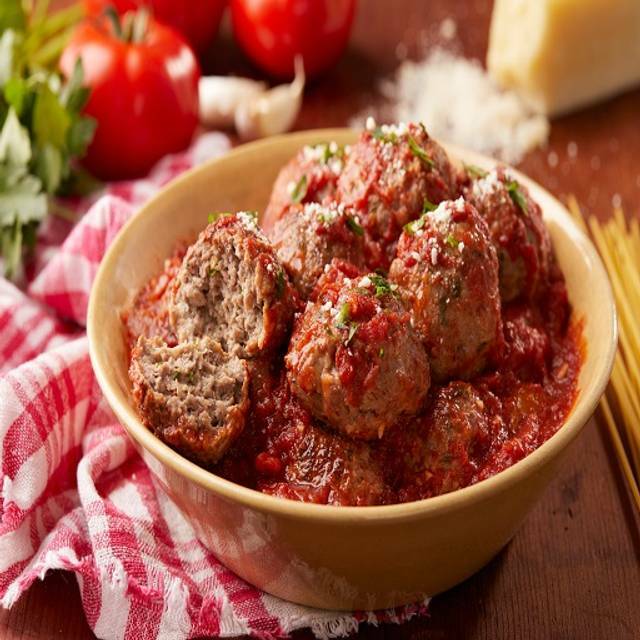 We had a tasty 'late-lunch' meal, cheese ravioli w/meat sauce and sausage abruzzi, plus our salads and those most delicious rolls...always something to look forward to savoring. Our waitress, Nicole, was very helpful and pleasant. Since it was a more quiet time of day...mid-p.m., service was quite speedy, and the atmosphere was more quiet and relaxing ! We'll be around again soon ! Always a good meal. We are happy with the value. Love the specials. Enjoyed our dinner! Server was excellent! Our server was great! Food was wonderful. Since we have rediscovered Bertucci's we have gone at least twice a month. The people there are all so nice. The restaurant is clean, the food is good. We haven't been here in some time. It was a Thursday night and moderately busy. It was not that loud in there considering the large, open-ness of the place. (Not much sound travel.) Everything we ordered was cooked very well. Pasta was al dente. Risotto cooked all the way through. Antipasto nicely flavored. Even the kid pasta was good! Our server kept our bread bowl full and was very attentive all night. We plan to come back more often! Had the grilled salmon platter. Was excellent! We will definitely be going back! It was terrible- went there for Valentine's day - my food was cold when brought out - couldn't find the waitress for at least ten minutes to let her know- was taken back to heat and brought out burned!!! All of it- potatoes, broccoli and chicken- you could see black on all the food and it smelled very burned!! My husband and daughter were shocked that they would ever serve to a customer!!! Again had to wait for waitress and when she finally came back - showed it to her and asked for my dinner ti be removed from bill. No manager or anyone came over - so my Valentine's dinner was a roll and half of a meatball!!! Our waitress was great. But disappointed that she didn't mention the $35.00 special. I had to ask. My meal wasnt great. It was rigatoni with chicken and broccoli. I didn't care for it at all. I think the special could have had a little more of selection. The desert we had was the cannoli trio which I love Cannoli's but they had to many chocolate chips. Chicken Marsala does not resemble any Chicken Marsala that I’ve ever had. I don’t think the Chef or Management tastes their own food before serving. The chicken was thick and tasteless and the sauce brown and had no Marsala Flavor at all (probably use inexpensive Marsala if at all). Broccoli was cold. All in all a very disappointing visit. A pretty good chain restaurant with reasonable pricing, pleasant service and good food. Their home made rolls are really good, and their main dishes very respectable Italian style dining. And the pizza is really good too. Nice bar, reasonable priced wine and drinks. They need more help to bus dirty tables as having the wait staff do it creates problems with lots of empty tables while a line forms to get in. Thank you so much for taking the time to provide feedback about your visit as we always seek to improve our guests' experience. We hope to see you again soon! We like Bertucci's Huntingdon Vally a lot. Good food, clean restaurant, friendly people. and you didn't have to spend anything to receive it. We're glad you were able to enjoy dinner with us and look forward to seeing you again soon! People are friendly, restaurant is clean, food is good. The food is always fantastic and the servers are very attentive. The open table reservation worked like a charm. We were seated immediately! I was quite surprised that, despite making reservations via through OpenTable, we still had to wait over 30 minutes. The server, though very good, was apparently given too many table assignments. The food was very good. I had frutti di mare risotto and it was well served. I would still recommend it. Try to go at non-peak times. We love Bertucci's and normally order the same few items from the menu. My husband had the BAKED CHICKEN GRATINATI. Nice flavor, not too much sauce and a large enough portion to take home to enjoy for dinner another day. My daughter had the ANTIPASTO; fresh ingredients with toasted crustini. A lovely replacement to a full entree. I had the RIGATONI DEL ROSARIO although I normally have the lobster ravioli. It was delicious; sauce was great along with the vegetables. I also enjoyed a VERY cold bottle of beer. Also, I was lucky to have half to take home. 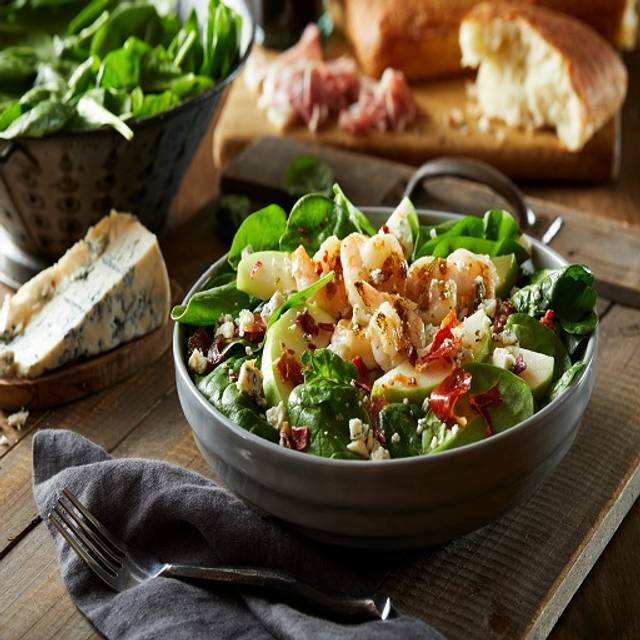 Another reason we enjoy Bertucci's is because of their seasonal selections. Pizza is also delicious. Although we did not choose one this time, we have in the past. And now that they take reservations on OpenTable, no lines to wait in anymore. Great for kids, the dough keeps them occupied, the service is quick and nice.